ISACA is a non-governmental organization with non-profit purpose, worldwide leader in management, security, control and provision of IT. The organization is founded in 1969 as EDP Auditors Association (Electronic Data Processing Auditors Association), ISACA is leading international source of controls in the information technologies. The Association is devoted on servicing the professionals which manage ICT. ISACA Sofia Chapter is founded in 2007 and is registered according the Bulgarian legislation as organization with non-profit purpose. Our aim is to popularize the audit of information systems profession as of the specialists and experts in Information Security. We invite you to take part of the second for Bulgaria ISACA DAY. Vladimir Kavalov has 25 years of experience in the IT field, half of them in the financial sector. Over the years, he has worked as a System Administrator, Information Security Specialist, Head of IT department and IT Auditor. His interests are in the field of Information technologies, in particular: audit, security and implementation. He has lead significant projects, linked to migration and implementation of ERP systems, integration of MS Active Directory, as well as various decisions for management and monitoring of information security, information systems and processes. ISACA-Sofia Chapter member since 2008, Board member since 2016 and elected President of the organization. Jenny Boneva has more than 12 years of experience in the areas of Information Technologies and Information Security, IT Audit and Compliance, Data Protection and IT Governance. Her career started as IT consultant/ Advisor and Auditor in one of the Big 4 leading firms in the accounting and consulting industry. Later, she focused her professional development on Information Security in the financial sector. She manages worldwide recognized certificates CISA issued by ISACA (Information Systems Audit and Control Association) in the area of audit, control, monitor and assess an organization’s information technology and business systems and CISSP certificate issued by ISC2 (International Information System Security Certification Consortium) focused on Information Security. Additionally, she has certificates related to the areas of Cybersecurity and Computer Forensics. 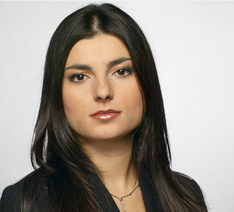 Currently, she is Vice president and Chairwoman of Membership Committee of ISACA – Sofia Chapter. 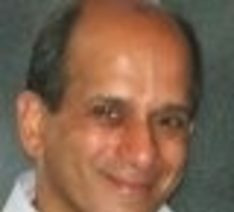 Dalim is an IT professional with expertise in IT Governance and Risk Management. His experience includes IT audit, compliance, controls, security, PMO and project management. He has been Events Director of ISACA London Chapter for five years (2008-2013), and again from 2014 till now. He is a Director of DSL IT Risk Management Consultancy, and has worked in the UK and other countries for major financial and business services firms. Dalim also mentors and guides IT students, innovators and entrepreneurs at London University and elsewhere. As well as CISA and CRISC, his qualifications include FBCS (Fellow of the BCS) and CITP (Chartered IT Professional). Dalim is a firm believer in the high value of IT professionalism and actively encourages and promote it at many levels – including at events and conferences with various organisations in the UK and overseas. 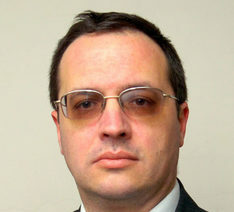 Mr. Bydlosz is Vice President of ISACA – Katowice Chapter. He is risk and control professional with more than 25 years experience in security and IT auditing of the banking sector. He is CISA, CRISC, ITIL Foundation, Agile PM Foundation, BSI ISO/IEC 27001:2013 certified. 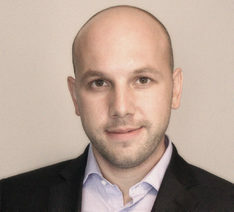 Mr. Bydlosz has graduated at Cracow University of Economics, Postgraduate studies, Banking and at AGH University of Science and Technology, Computer Science. Senior IT manager with more than 19 years of experience in IT security management, network, firewall, and server administration. Solid experience with security governance frameworks, disaster recovery plans, and risk management. CISM certified. Excellent working level of English. Master in Engineering and Strategic and Operational Management. Areas of Expertise: Strategic Planning and Implementation, IT Security Management, Infrastructure planning and maintenance, Access right management and monitoring, Windows and Linux/Unix server environments, IT process analysis and redesign, Risk management, Change Management. 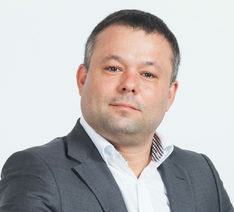 Delyan Boychev has more than 15 years experience in IT security and IT Risk management area working for companies in the financial, insurance and market research sectors. He holds CISM certification. Member of ISACA since 2006. 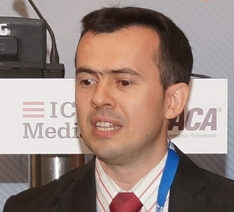 Mr. Nyagolov is Member of ISACA – Sofia Chapter. He is certified Project Management Professional (PMP), Certified in Governance of Enterprise IT (CGEIT) and Certified Information Systems Auditor (CISA). He has extensive hands-on experience in the area of IT strategy, system integration, databases and application systems development, implementation and audit. He has led technology and operations projects in international and local organizations in the telecommunication, energy and utilities, industrial and financial sector. His assignments cover the areas of economics of IT, technology integration and advisory, business and technology architecture, IT organization and structuring, systems’ reviews and cybersecurity. Kiril Traykov is information technologies professional with more than 15 years of experience in information systems audit, information security, risk management and governance and strong background in information systems development, internal and external audit. Currently he is leading the enterprise solutions team responsible for finance and legal and before that he was Group IT Audit manager in one of the largest beverage companies worldwide. Kiril has been involved in multiple projects and engagements in the information security, risk management and audit areas and has extensive experience in establishing and transformation of internal and external audit practices. He possesses Master of Macroeconomics and Bachelor of Computer Science degrees. 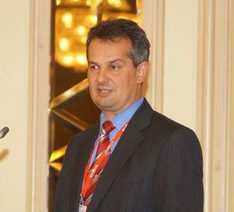 He is CISA, CISM and CISSP and a Member of ISACA – Sofia Chapter. Eng. 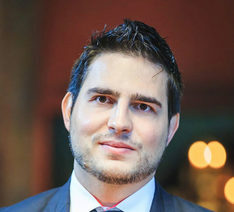 Pavel Kaminsky - CISSP, CEH, Information Security Professional and Entrepreneur, Penetration Tester, Social Engineer, Partner & Head of Technology at a company specialized provider of services and products for the Information Security market. Playing a key role in the company providing a full range of information security strategy, from penetration testing and vulnerability assessments through governance and compliance, and completing the circle with the implementation and maintenance of all technical means for information security in accordance with the requirements of local and international standards. For more than 12 years Ms. Krusteva has been advising large multinational and domestic companies on complex information management and privacy issues, advanced technological and cross-border projects from consultations on the very development of their business model to their launch and day-to-day implementation. She covers a wide range of legal matters in ICT law, including privacy and data protection, information security and other special regimes of information, e-Commerce, e-Payments and e-Financial services, e-Healthcare, e-Government, e-Identification, e-Signatures and telecommunications. Desislava Krusteva has actively participated in drafting numerous laws and secondary legislative acts on e-Governance, re-use of public sector information, e-Documents and e-Signatures, e-Communications, etc. 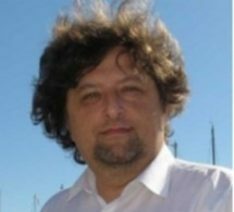 Author of numerous reports and publications and legal expert in a large number of projects on the implementation of the European legal framework. Ms. Krusteva is a regular speaker at conferences and trainings and lectures at the most prestigious Bulgarian universities. 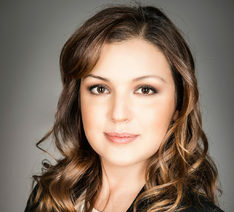 She is a member of the Sofia Bar Association and the International Association of Privacy Professionals (IAPP) and a Certified Information Privacy Professional Europe (CIPP/E) by the latter. Konstantin Lalov has more than 10 years’ experience in implementing software systems for audit management, risk assessment and data analysis. Over the years he has managed number of projects implementations of the systems in the public and private sector in Bulgaria and other countries. Some of the projects included integration of Continuous Auditing and Monitoring system. He has the internationally recognized ISACA CISA Certificate. 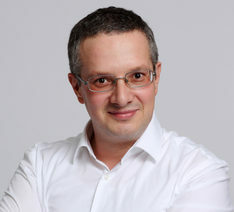 Boyan Yanchev is a Chief Technology Officer /CTO/ at the Lirex.com companies. He has over 15 years of experience in IT processes outsourcing, information security and IT services management. Mr. Yanchev participated in over 100 projects related to consulting, outsourcing, auditing and large infrastructure projects in Bulgaria and all over the world. He is certified in CISA, CobiT Foundation, ISO27001 Lead Auditor, MCP, MCSA, MCSE, ITIL Intermediate, ISO 20 000 Auditor and ISO 27 001 Lead Auditor. Peter Dimkov is a consultant with more than 15 years of experience in information technologies, 7 of which are in the field of information security, project management, and information systems auditing. 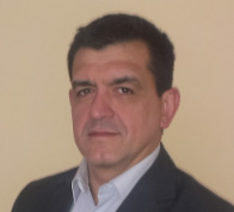 He has set up and implemented information security and IT service management systems in accordance with ISO 27001:2005 and ISO 20000-1:2008 standards, and has been involved in numerous information security audit projects and penetrations tests at various state administration structures and SME organizations. 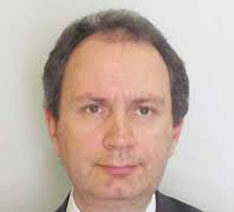 Peter Dimkov has extensive experience in security incident response as well as establishment of management processes. He is CRISC (ISACA) certified with broad risk assessment knowledge and experience. 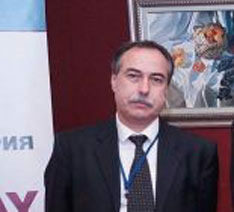 Mr. Karaneshev has more than 25 years experience in the area of risk and finance. His latest interests are in the areas of corporate governance, risk and risk culture, information and data governance, big data, data analytics and business intelligence. As a Head of Audit he assesses the risks of the organization, audits the corporate and risk governance; strategic, control and operational management systems and function; critical business and operational processes and functions. His achievements before are in the areas of risk management; mergers, acquisitions and post-merger integration; business development; organization development, restructuring and turnaround; investment portfolio management; design and implementation of management and control systems; business process design and reengineering. Co-Founder of the Risk Culture Lab – aimed to connect experts to build knowledge on the role of Culture and Risk Culture in organizations and society and to experiment and explore Culture and Risk Culture in the context of today's reality. 09:00 - 09:15 Where Are We Going. 09:15 - 09:30 Cybersecurity Nexus. 09:30 - 09:45 ISACA – What We Could Expect in the Near Future. 09:45 - 10:15 Risk Governance & Culture. 10:45 - 11:30 Cyber Security - Risks, Controls, Auditing. 11:30 - 12:15 Concept of Self-Identified Issues (SSI) and Its Influence on Organization and Control Environment. 12:15 - 13:00 Challenges Facing the Internal Audit and Its Role. 14:00 - 14:45 DDoS as a Smokescreen for Further Hacking. 14:45 - 15:30 Penetration Testing. 15:30 - 16:15 Data Analytics – Approaches and RoI. SESSION 4. GDPR – Should We Care About It? 16:30 - 17:15 GDPR – Case Study in the Real World. 17:15 - 18:00 GDPR - Legal Aspects.